Song Of The Troubadour is a book that was channeled through Chris Madsen. 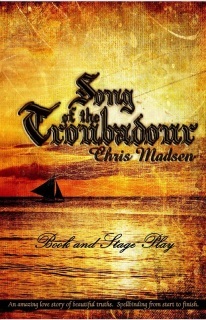 On the surface level it is a beautiful love story set in medieval times . Written in the energetic style of Kahlil Gibran's The Prophet, it is filled with deep truths that will inspire you. The first 1/2 is the entire book followed by the stage play script. Tax, shipping/handling included in price. 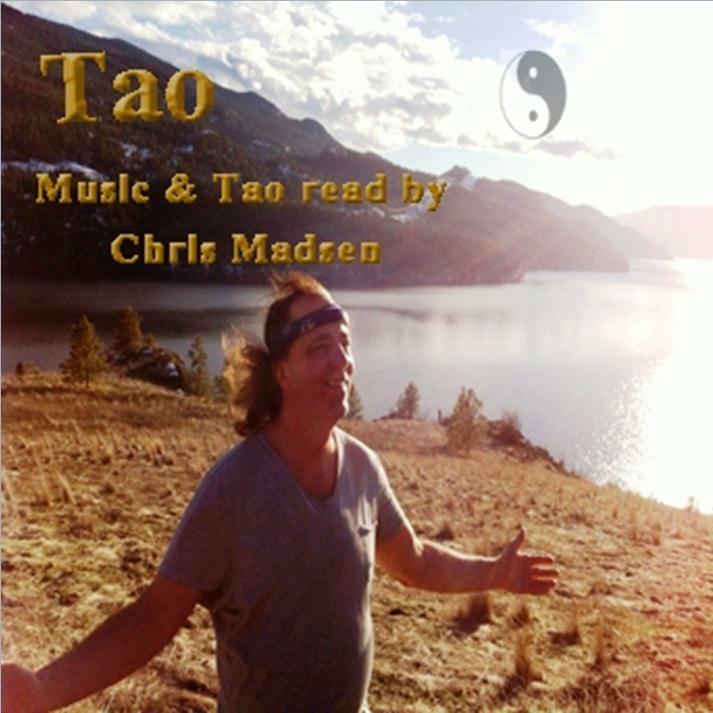 The complete 81 verses of the Tao Te Ching read by Chris Madsen with beautiful guitar instrumentals as background. 61 minutes. Tax, shipping/handling included in the price. 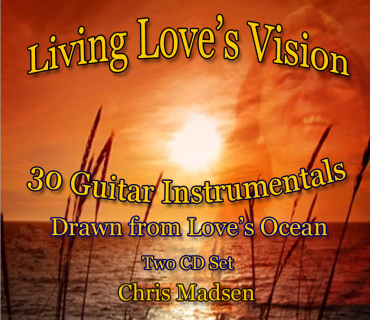 Living Love's Vision book in a 2 CD audio set read by the author Chris Madsen. Guitar instrumentals gently flow in the background as well.Tax, shipping/handling included in the price. 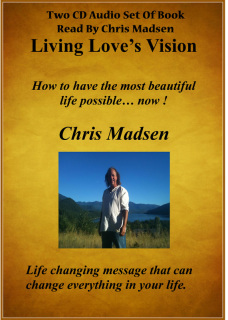 The book Living Love's Vision is a must read book for everyone on the spiritual journey. 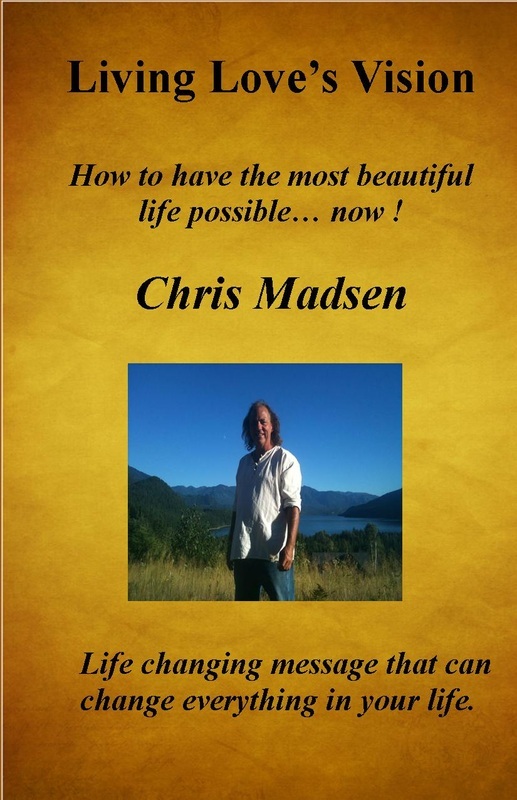 It explains how to experience the best possible life possible right now. 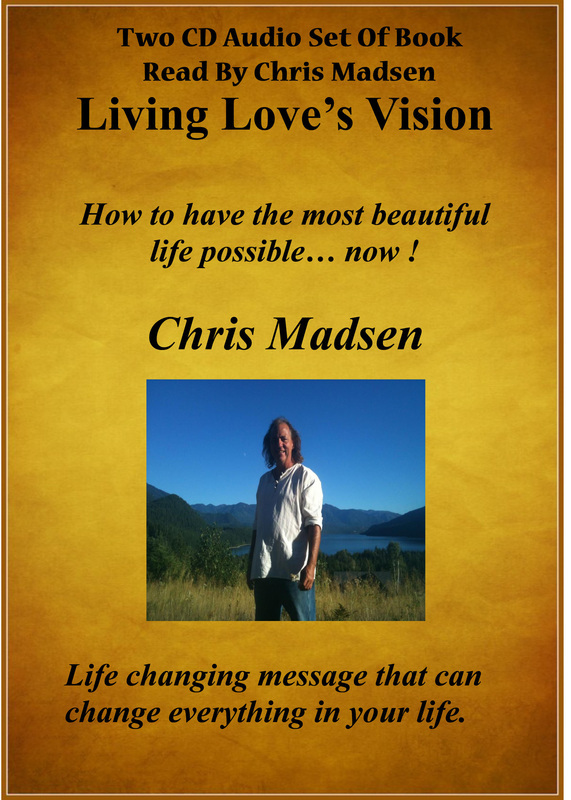 It is filled with life changing messages that can change everything in your life right now. Tax, shipping/handling included in the price. This is an amazing guided meditation CD. 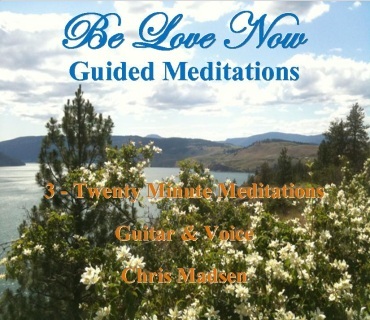 There are3 twenty minute guided meditations spoken with the gentle voice of Chris Madsen. 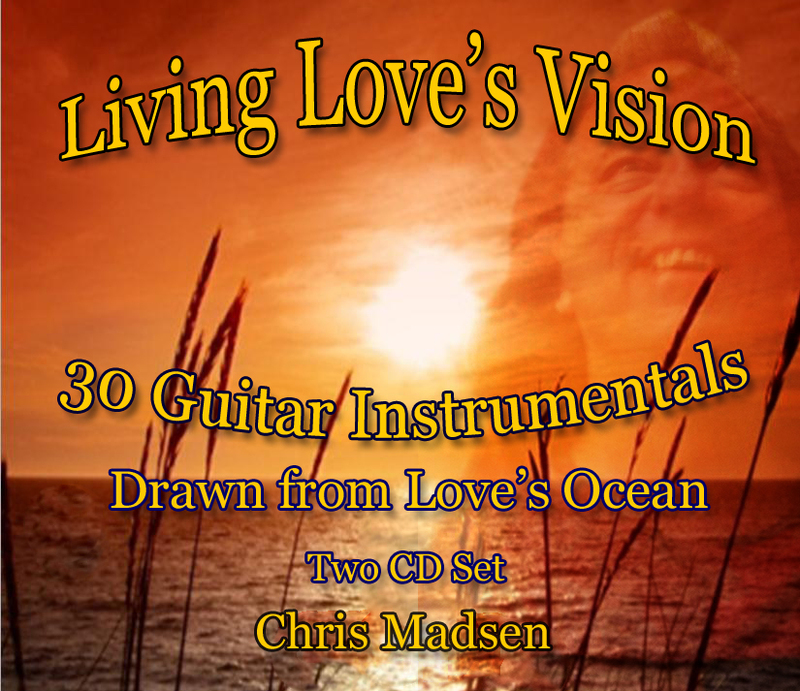 Instrumental guitar gently lulls like ocean waves throughout the meditations. 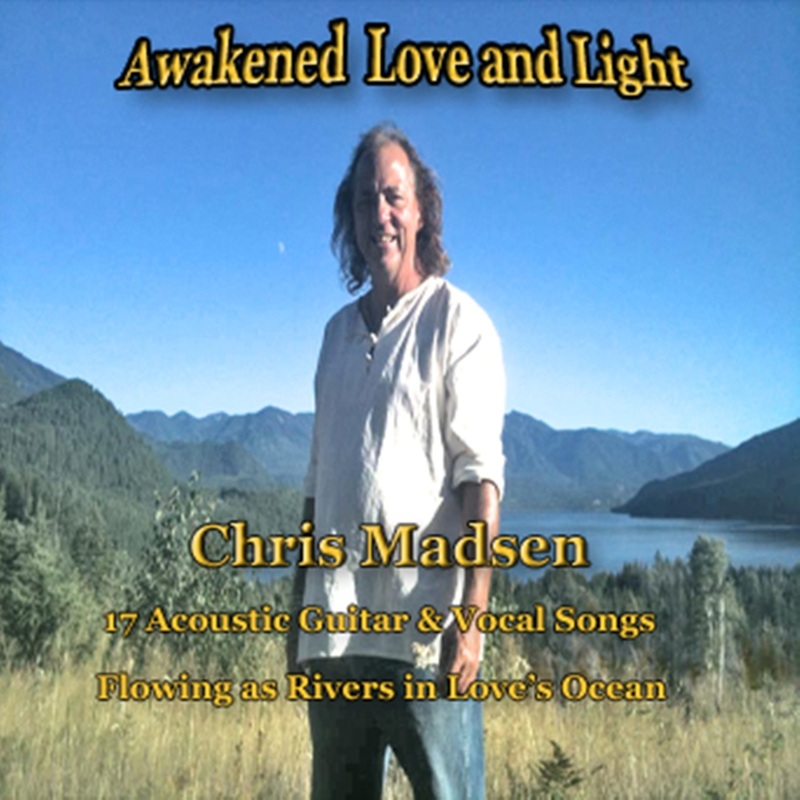 This CD is totally encoded with deeper energetic flows to release into the beautiful serene place of wholeness of mind, spirit, body.